We have no idea what production Wilder is a part of, whether it is in fact a movie, a TV show or something else. Still, there have been suggestions that there could be a ‘Creed III’ on the way, with the storyline focusing on the son of a certain Clubber Lang (majestically played of course by the great Mr. T in ‘Rocky III’) – and that Wilder could be in line to play the part of Lang Jnr. We await news of that one! “Be careful there. That acting thing doesn’t always work out for heavyweight champs. Trust me. I know!” Lennox wrote today. Fans may recall how, ahead of his “routine” title defence against Hasim Rahman in South Africa in April of 2001, Lewis had devoted a good deal of time to his movie appearance in ‘Ocean’s Eleven.’ Having spent too much time in front of the cameras and not in South Africa acclimatising himself to the altitude there, the reigning heavyweight king was all out of gas and a veritable sitting duck after just four-rounds of the fight with Rahman – and we all know what happened in round-five. Can a top-level boxer juggle two careers at the same time? It’s possible, but very, very risky. 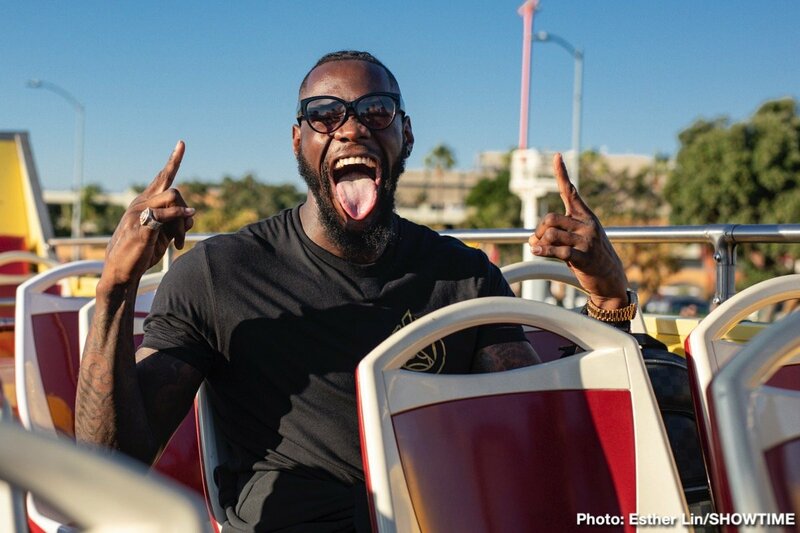 Wilder can have some fun, sure, but let’s hope for his sake he doesn’t neglect any of the training he will need ahead of that big return fight with Tyson Fury. History does have a funny way of repeating itself in this sport.